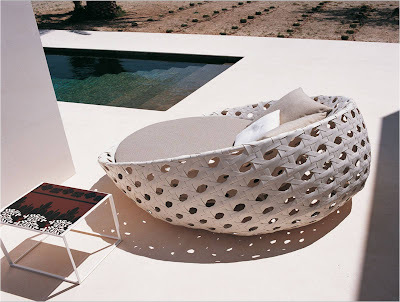 This outdoor furniture is from the Canasta range designed by Patricia Urquiola for B&B Italia. 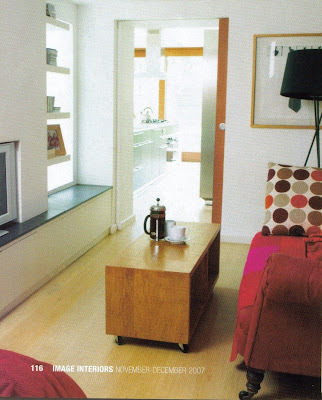 Love the high sides on the armchair - for shade and comfort or just hiding for a few minutes. 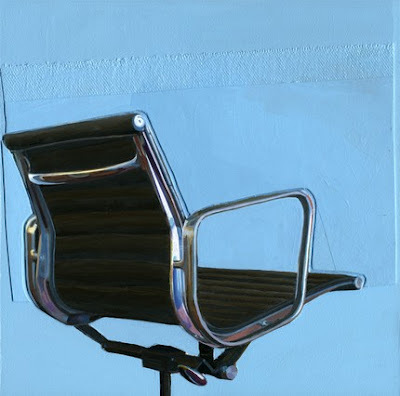 You can really see the detail in the bottom picture - looks like a giant version of the seat of a Marcel Breuer chair. Highly desirable but very pricey - one for the wishlist. 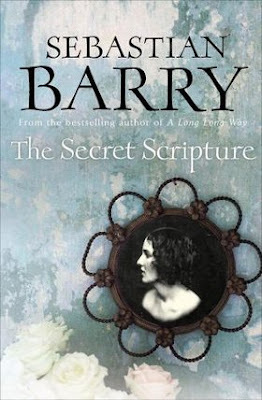 I have this next one at home having copied it from a friend. 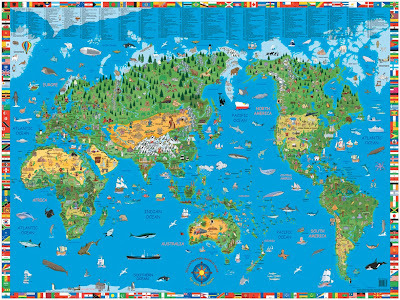 The map is covered with referenced pictures of the natural and built icons all over the world. Hers is a UK version whereas mine is Australia centric. It is a bit of a worry on my version that the only thing shown on the map of Ireland is a couple of leprachauns and a sheep dog !!? 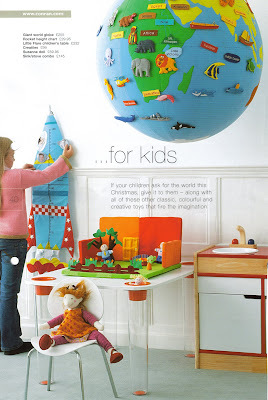 This big globe with velcro labels and shapes is from Conran in London. 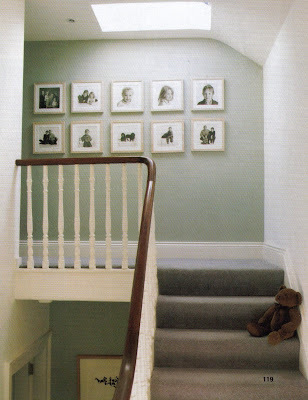 Its an old picture so may not be still available but a lovely idea all the same. This is the home of an Irish architect and designer Sibeal O'Sullivan. 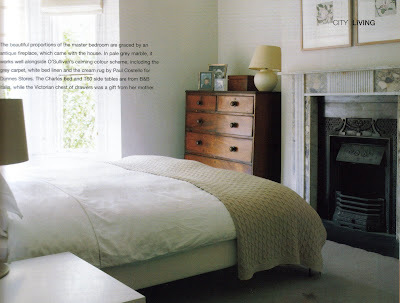 It was featured in Image Interiors in 1997 and I kept the whole thing - I love this house. My home town - Dublin - has a wealth of beautiful period Georgian and Victorian homes. While as a renovation project they can be a big challenge their lovely bones usually mean that the outcome is more than worth the effort and expense. 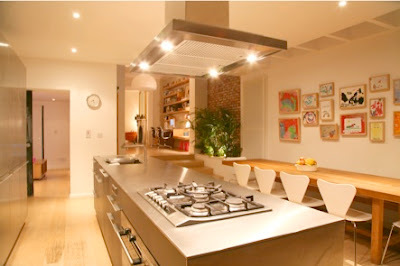 This is a renovated and extended 4 bed Victorian house. On one side the house is open from front to back. Now on the left above is one of my favourite features - a TV den or snug is boxed away by itself so that the kids can watch tv. I am not a tv lover myself so this would be a big bonus. You can see in the photo below that the tv room is lit by internal windows and there is good hidden storage. 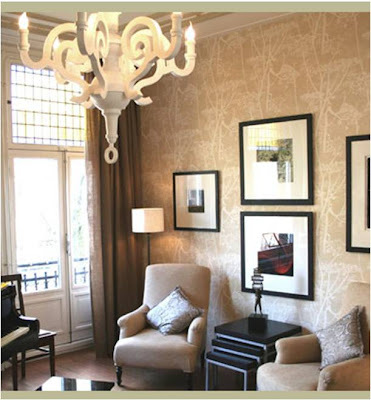 Like the modern lamp / old sofa combination too. 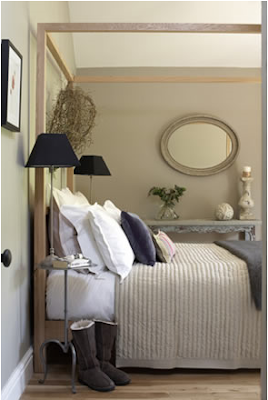 Master bedroom ticks lots of boxes - window, fireplace, chest of drawers, mix of restful textures. Pretty good guest room . . . I love the fabric sections of interiors magazines especially where stylists wrap things in fabrics or show them in unusual applications. Osborne & Little adverts are now so legendary that they had an exhibition at their shop on the Kings Road of some favourites to celebrate 40 years in business in 2008. I would have loved to have seen it. 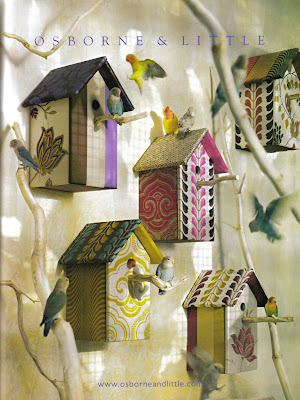 The birdhouse ad featuring the Serang silks is a recent (2oo8) favourite of mine. 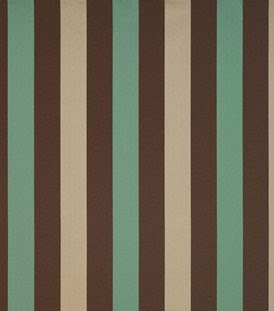 The Ambon fabric has a lot more texture than the detail shot above would indicate and the Mandau stripe is shown in purple and pink / green on the ad but this is my favourite colourway above - very classy in my view. Still collecting ideas for my bedroom where space for side tables is minimal due to humungous ( but very comfortable so no regrets ) king bed that has taken over the room. My current thinking is a chest of drawers for my side wall but I also like the console pictured here - it is light in the room. When I posted about the Merus winery in California I did not know the provenance of the lights but now I do. 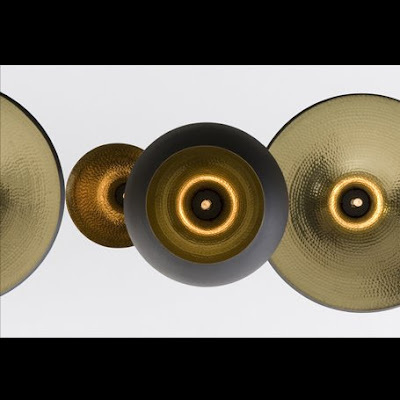 They are Beat lights by Tom Dixon. Another thing I learnt is that they are not smooth on the inside as they appear but are beaten brass as you can see in the bottom picture. The Beat light is available in Australia from www.dedece.com . 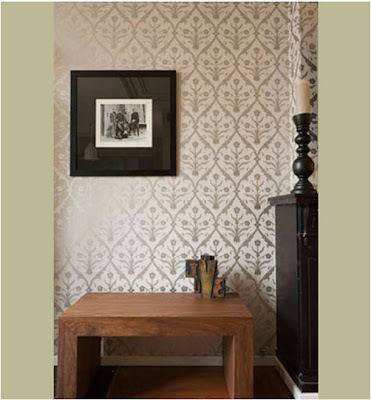 I was flicking through a UK House & Garden magazine as I often do and a tiny ad with the print below caught my eye. 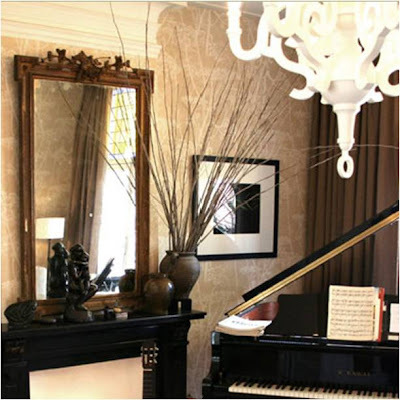 These sketches are the work of Wendy Baker a UK based interior designer. 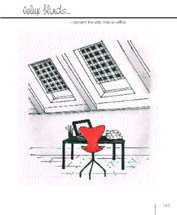 From her websites www.shoestringbooks.co.uk and www.curtainsketchbooks.co.uk she has published a number of books on curtains and blind design mainly conveying design ideas through her sketches. 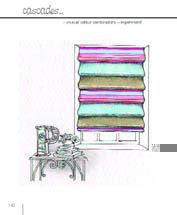 Imagine if all 300 designs in the Compact Sketchbook of Blinds are as nice as those below !! I have a couple of posts to write about steel reinforcing mesh. Hmmm I hear you say, but bear with me. 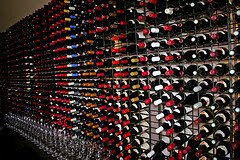 Firstly it has come to my attention that steel mesh is being used to great and sometimes dramatic effect to store wine. 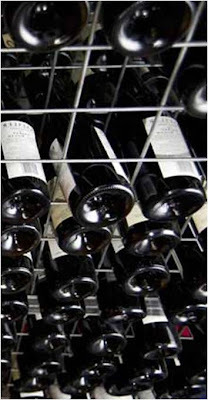 The wine rack below is from the restaurant Bells at Killcare on the New South Wales central coast. 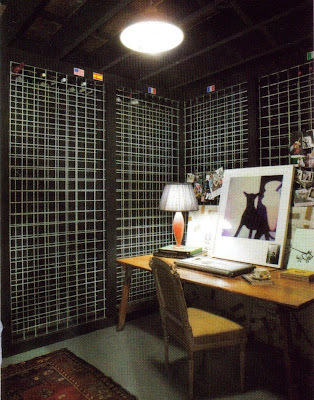 The mesh is inexpensive relative to other racking options and you just simply attach it to the wall or between posts or pillars depending on your room or storage area. 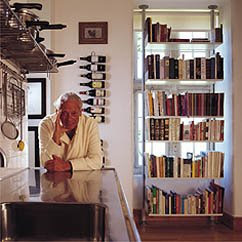 This wine cellar / study below uses the same approach in the Australian home of a designer for the film industry. Although I know from the magazine article that this is the home office of a female, many men I know would love to hole up in this study surrounded by 1500 bottles of wine. 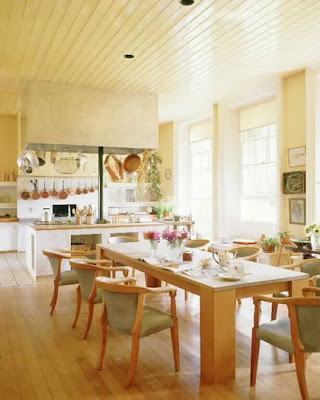 To continue the theme from yesterday on the homes of well known people, this is Terence Conran's kitchen - from some time back but I imagine its still much the same. There is great space at the table - not too many chairs, a good width and long enough so that you could head down the end and read the paper in peace if that's what you wanted to do. 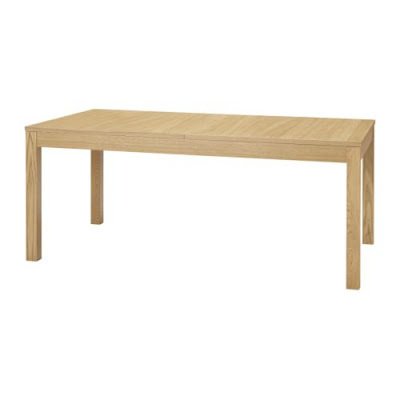 The Bjursta table below from IKEA at the bargain price of AU$279 is not unlike Terence's table and extends to 2.2 m long. Not bad. A while back I won this book in a competition on Blogging Top Design and with all the hecticness of Christmas am only now getting to look through it properly. 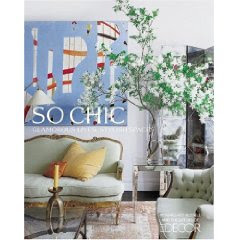 Its full of photos of the homes of glamourous / famous / stylish / all of the above people and provides lots of inspiration and ideas. The dining room below is in Sarah Jessica Parkers home in the Hamptons. I've seen lots of dining settings with mismatched chairs but hadn't seen the all black approach before and it is very effective with the white table and splashes of colour. More from So Chic anon. Vitsoe provide pretty much the best customer service and love of a product I have come across so far - in any retail sector. My husband spotted the 606 in the Conran shop's staff offices when we were living in London and looking for shelves and a spot for our computer and so we discovered Vitsoe. The 606 shelving system was designed by Dieter Rams in the early 1960s and Vitsoe has been producing this high end modular system for over 50 years. 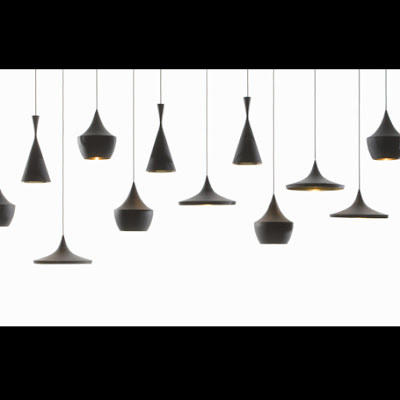 They are a really interesting company focussed on timeless design that can be reused, added to and adjusted as you move house and your lifestyle changes. 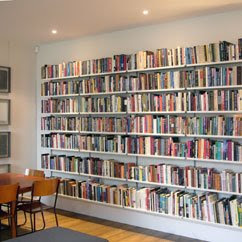 You can get a much better idea of what they are about at www.vitsoe.com. 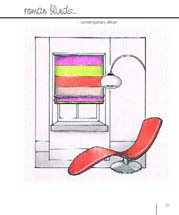 The customer service is amazing - you are advised on which type of installation suits your home and application, beautiful drawings are emailed to you and kept on file so that your system can be amended at a later date and - when we moved to Australia they came and lovingly disassembled our shelves and packed them for overseas shipment pretty much for the cost of the packaging. 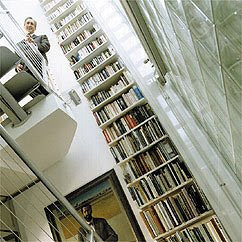 The shelves can be wall mounted, used as room dividers, floor mounted or compressed between the ceiling and the floor. A look through the Vitsoe site will show you the extent of what can be done with the 606. 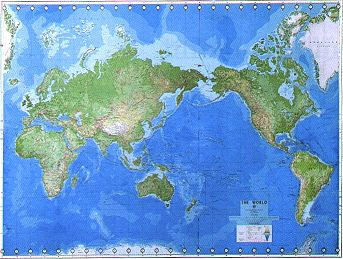 Mud Australia http://www.mudaustralia.com/ are the distributors for Vitsoe in Australia. 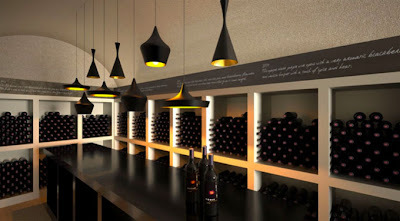 Uxus Design was featured recently on TheCoolhunter.com.au for their work on the Merus winery in California. I love the tasting room below, especially the lighting and the 'traditional but modern' feel. 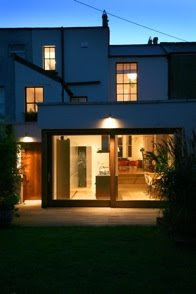 Delving further into www.uxusdesign.com I found pictures of this wonderful family home they have designed. 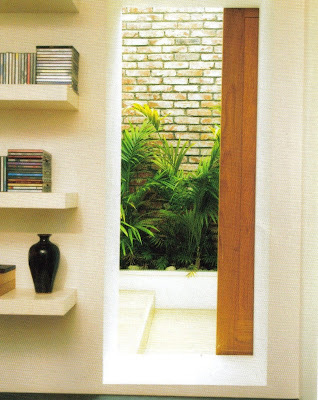 The Mendoza Residence is very much in keeping with my own taste - classic but modern. Great wallpapers also. More chairs . . . 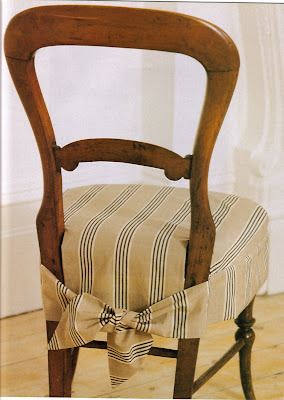 These chair cover ideas are in a lovely 'home projects' booklet from Homes and Gardens in the UK. 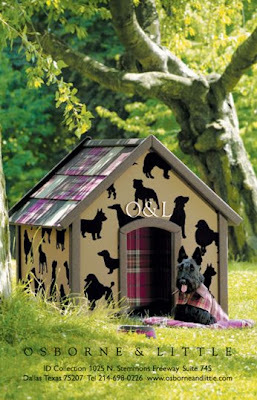 With very little fabric and some imaginative trim the possibilities are endless and still removable. 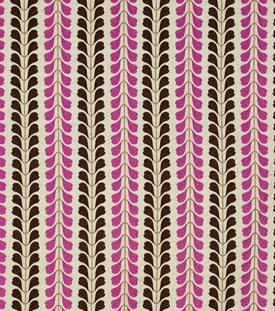 I also like the idea that you could have different colours or weights of fabric for summer and winter. 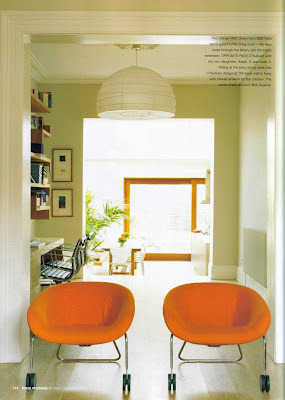 This picture is from a feature in Vogue Living Australia on Indian decor. Apart from liking the styling of this shot overall I kept this because of the chair. Its from Ruby Star Traders www.rubystar.com. 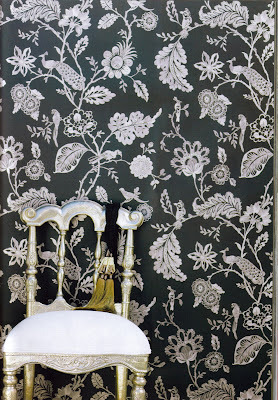 I think the silver paint on the ornate chair looks great with the plain white upholstery and is less flashy than gold. I will bear this in mind next time I am considering breathing new life into an old chair. I didn't write a lot for this blog over the Christmas period but I did spend some time browsing around the blog world. 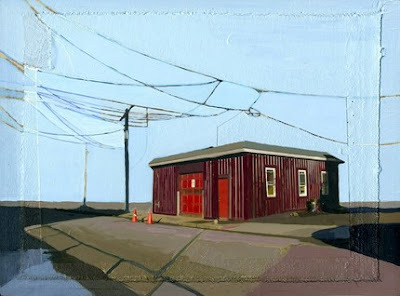 I came across Leah Gilberson via A Studio with a View who I found via the Desire to Inspire holiday reading lists. 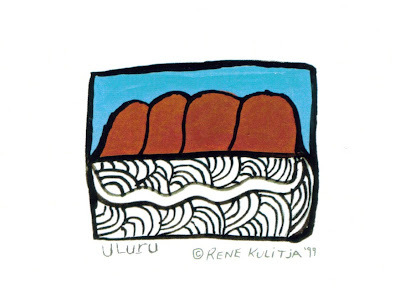 These prints and paintings really caught my eye. 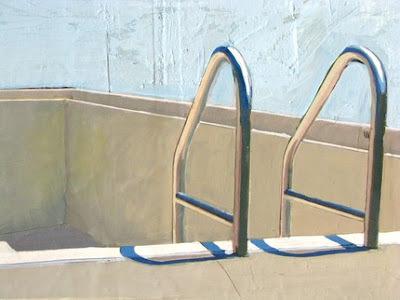 Leah Gilberson is based in Boston works with digital photos, paint and mixed media to get the effects below. 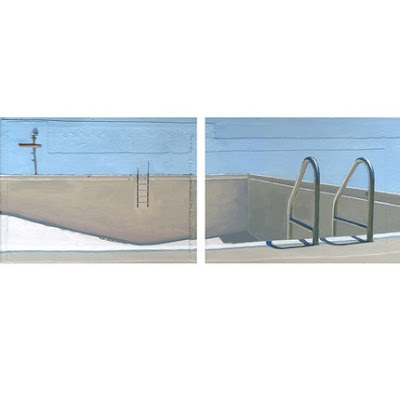 I like the work she is currently showing in her Etsy shop, the major themes being architecture and streetscapes, chairs and swimming pools.